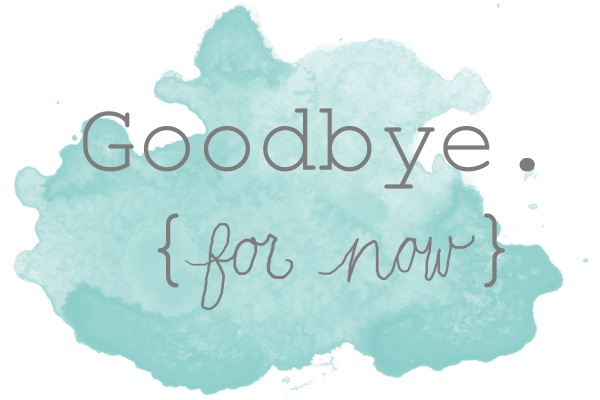 All good things come to an end, so I would like to say goodbye to this blog by thanking all those who have helped me in the development of content or improving my posts. I have enjoyed every moment of the elaboration of What a Street, it has been a new experience and has also been really helpful because it helped me to better understand the phenomenon of mass communication and its signs in social media. ​Fashion has always been a hobby for me, but thanks to the creation of this blog I have been wondering if I should take this hobby to the next level, if dedicate to this is what I want. This is, turn blogging as my future and job habitat, who knows ... But one thing remains clear, if i do not continue on writing, I will miss publishing a new post every week! I hope I have fulfilled my goal to show fashion as unique and individual expression, as trough our bodies we can create art and decorate our soul, for making the rest perceive what we hide within ourselves. At the moment you can follow me on Instagram, and of course if I create another blog or I continue working on this one, I will let you know! Their clothing is now quite western but smoothly combined with chic touch silk scarf in head. This sector reminds me of the 60s fashion again, when Grace Kelly or Marilyn Monroe rode a scooter after covering their hair with cheerful scarfs. The second type of fashion in Turkish women reminds me of the windows of large textile corporations and brands. They all look completely Western and chic, like the clothes I can see inside shops like Zara, Mango or even less affordable brands like Michael Kors. They are all good and faithful fashion victims, but sometimes dressing like how catalogs say can make readers loose their own fashion essence. In my opinion, there is a huge concern about fashion in Turkey, almost all young girls denote style and dedication to their outfit. Those are essential characteristics to set a trend and what you want to transmit through clothing features. However, due to "Westernization" is happening in Turkey, new generations believe that large organizations such as Inditex are the ones fixing the "world's fashion". But that is not true, that affordable and multi-apparels corporations try to copy styles that have been capturing at the streets or those that young designers have been creating by their own. That is, this kind of corporation mimics personal and unique expressions not found in big shops, then they adapt what found to the tastes and widespread streams among the population, and finally sets the outfits at affordable rates. In Spain and great part of Europe, those interested in fashion matters and intending to become individual expressionists of who they are, are trying to avoid the fashion set by those big brands and do not support the promotion of cheap copies that create fashion armies. For that reason, second hand shops or vintage shops are increasing their presence in most cities, because they offer genuine and exclusive clothing. ​I decided to make a survey to 20 different Spanish girls and 20 Turkish girls to compare opinions, tastes and habits. The results did not surprise me, because as I mentioned before, the Turkish women rely on large corporations as precursors of trends, and are the only easy means of accessibility to buy clothes. 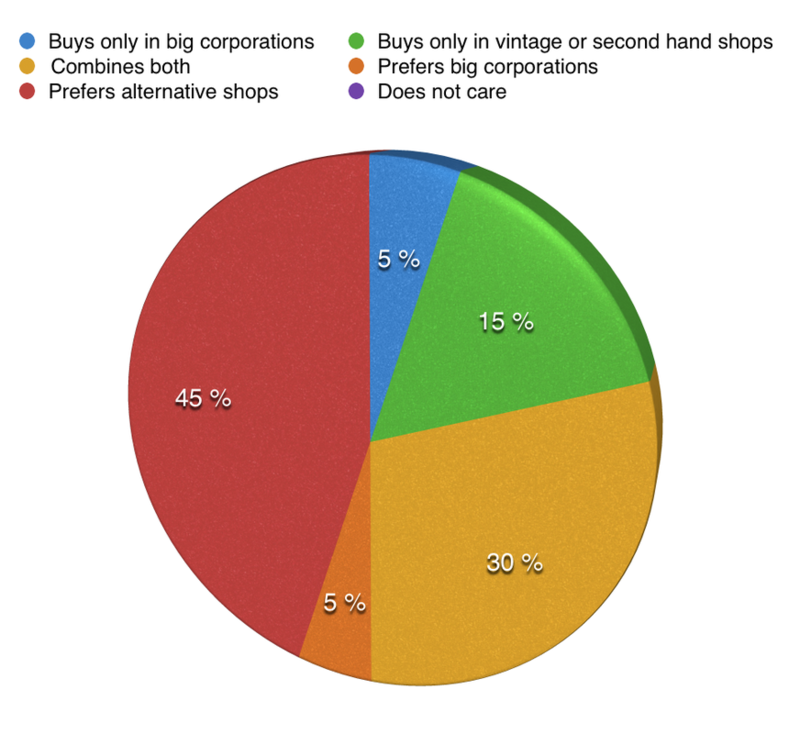 However, Spanish women prefer to make them his own tendency, as they frequent alternative shops like vintage or second hand. These do not trust large corporations as marker of trends, but serve "wildcard" if you do not find anything useful in alternative shops. It is very common among those who care about our style, set ourselves based primarily on garments such as pants, blouses, jackets or shoes. However, supplements are often marginalized, because humans pay little attention to detail, it is on our DNA. From my point of view the details do not form the outfit, but they improve it of course, especially earrings. Earrings can become your best ally. If you want to add magic and uniqueness to an outfit, use earrings! For the most elegant and posh outfits use earrings like pearls or diamonds. For your daily causal life use hoop earrings, for example they are my best ally for the college. They give my outfit personality and complements perfectly my own style. You can also support your earrings with piercings. I love small diamonds or hoops for my piercings, the result is awesome! Your ear will look like a complete jewelry. 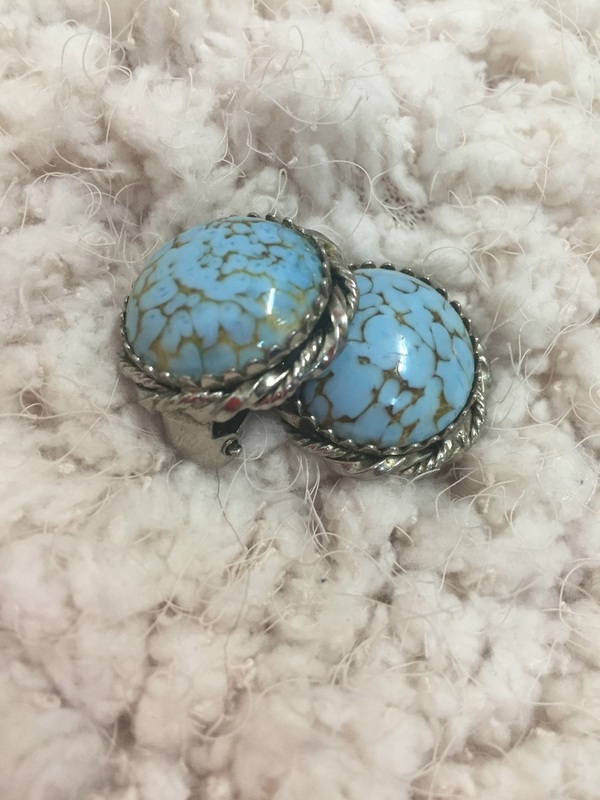 I usually wear small hoops, but for particular occasions I use my favorite earrings that I inherited from my mother, and my mother inherited from my grandmother. They are really special for me, I keep them like a treasure and every time I put them on, I feel exclusive and special. This earrings are really original, I can say they completely improve my outfit! So far I've been only writing about clothing and the personal use of those apparels, however one coin has two different sides. For that reason, I've decided to focus this post on the fashion production process, this is, those who use the inspiration to create originality and expression. I am talking about the fashion designers, the hidden artists behind every gorgeous and first gargement. Fashion designers are usually high-profile artists who bring their visions to life through art as clothing. Usually the designs stay current for one season, so the designer must continually be creating for the next season, show and round of buyers. Therefore, pieces from fashion designers are incredibly expensive and hard to maintain. If you have success in the fashion design industry, it's within the realm of possibility that you can become a celebrity in your own right, as well as make a large salary with many extrinsic benefits. On the other hand, clothing designers make pieces that are suitable for everyday wear and usually are not independently employed. This type of designer is not usually self-employed but works with a team of designers reporting to a creative director or fashion executive. While clothing design isn't as dynamic a field as fashion design, it can be a very rewarding and stable career. Here you have a short explanation about the personal experience and opinion about fashion! María Santos a fashion designer. You all know my aim here, I' am trying to show how personal styles can become art. It is difficult to find an individual style no one else has, this is, you have to feel comfortable with the clothes you choose, they have to represent your deepest soul and of course the outfit must be original. How my first interviewed, Alba Caviglia, said you have to look for unique clothes that no one else is wearing. If you buy all your outfit from big corporations like Inditex or Primark, it is going to be really difficult to be incomparable and to express your own personality. For that reason, try to combine this apparels with other ones you know you are the only able to wear. You can find really original and sole outfits in Vintage Shops, Street Markets, Second Hand Shops, small boutiques and in Internet. Fashion is very important for me, so I always try to save some money for new and rare clothes in line with my personality. I have been shaping my own style for years; I read articles about new trends, new relevant personalities in fashion and I try to visit artistic cities where arts and urban cultures are powerful and significant. For that reason I keep my style wherever I go. Finding these kind of shops in Ankara is my new objective. I would like to present the unique shops of this city, so that their citizens or visitors can complete their outfit with Ankara's clothing. I want to show how original people can be buying here, but at the moment I have not found any of them. So will be a pleasure for me to show you some of my most valuable and unique clothes I have bought all around the world. 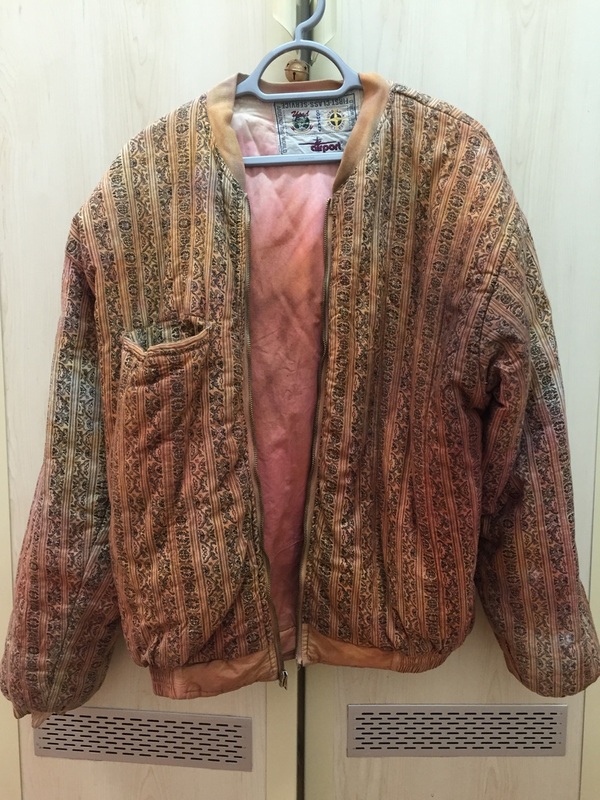 This old jacket is from THREE VINTAGE SECOND HAND SHOP in Castellón (Spain). It is one of my star clothes so I carry it with me everywhere I go, it means a lot to me because it was the first jacket I bought from a second hand shop. Thanks to this apparel I started in the world of street styles, because I realized how good you feel wearing unique garments. 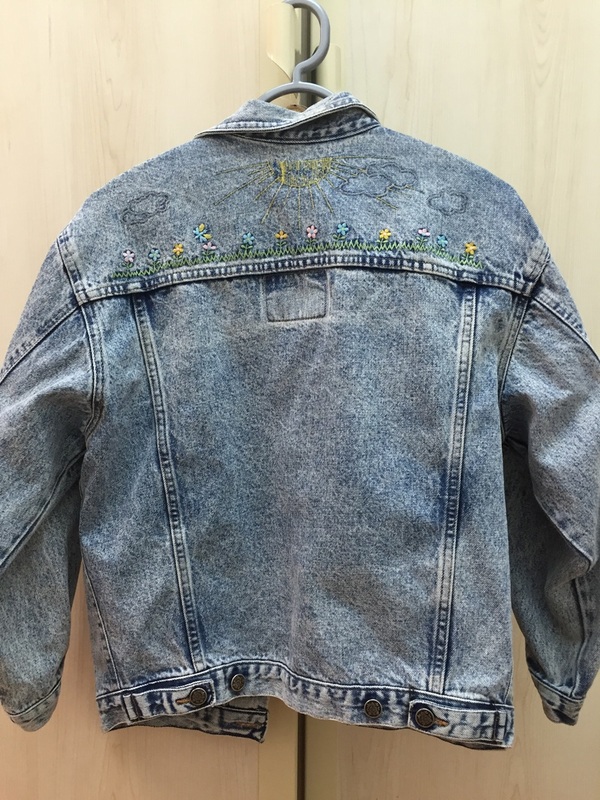 This jacket help me to show others a unique personality. You can also buy in Spain, UK, Italy and online. 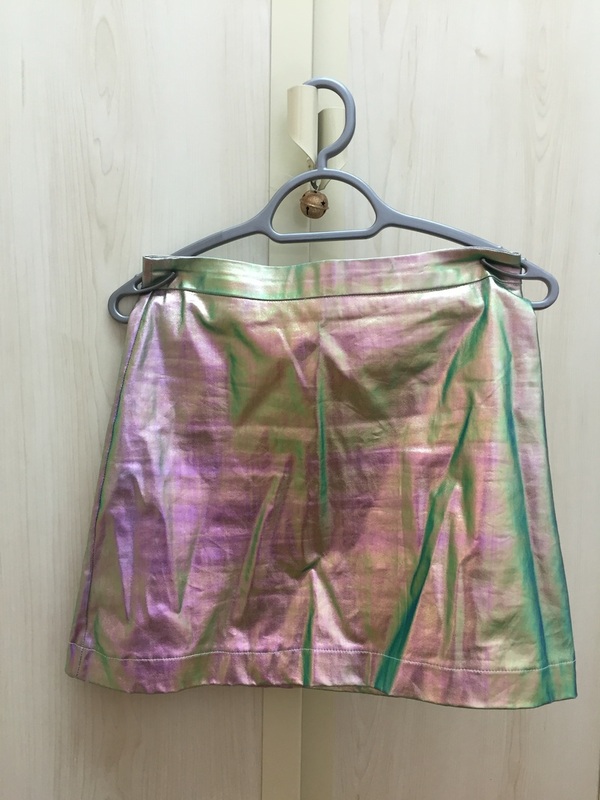 This shiny skirt is from the world wide web ALIEXPRESS, where you can only buy online. I use this skirt at night during special occasions, as it shines enough with sunlight. I bought it because I wanted to be dress not black colored as everybody does during special nights. This high pair of shoes are from the street market CAMDEN TOWN in London (United Kingdom). 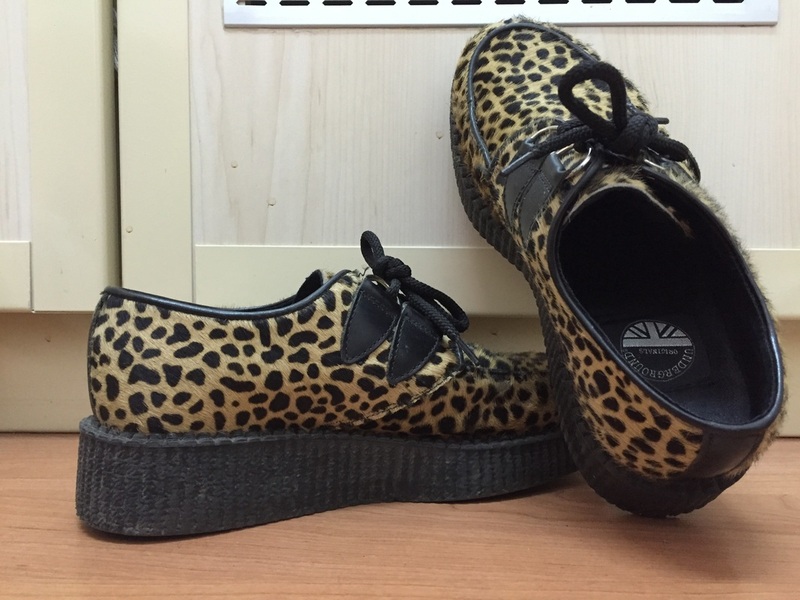 They are the typical creepers used during the 80s and 90s at Great Britain, these ones were used by the old cyber social-movement. Nowadays, the Camden shops continue selling them for new and diverse generations, not only for cyber people. I love creepers design and their history, so every time I go to London I buy one pair. I've been collecting these shoes for 5 years, now I have 5 pairs. You can also buy online, but I strongly recommend you to go and see how unique styles and arts surround this magical market. Instagram is also a good tool for you, for example, you can follow fashion bloggers and learn how to combine clothes and brands, the latest trends and where to find them. Dulceida is my favourite fashion blogger. I follow her on Instagram as my main way to keep in touch with vogue. Tattooing is considered a popular urban culture that is increasing considerably among the younger population, however it has become part of street fashion during the 21st century. This practice has adopted different meanings over the years, for example, the ancient African tribes used it as a sign of differentiation from other tribes, even to frighten their enemies. Asia used tattoos as a symbol of offering to the gods, the Mediterranean area used tattoos to mark the slaves and the ancient Americas to align their bodies with Mother Nature. Due to the modernization and development over the years, tattoos have been used for an entirely different purpose, this is, in the late 19th century and early 20th century, only sailors and prisoners tattooed their bodies as "bad times" marks. 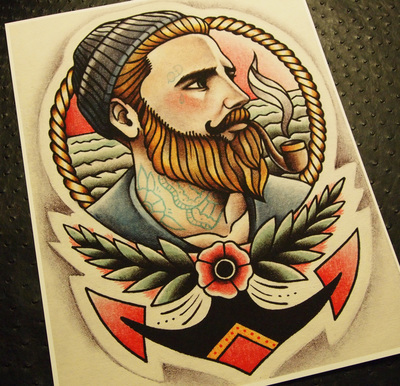 The sailor and prison tattoo are currently the most drawn among the tattooed population, what we would call "old school" draw. Moreover, the contemporary tattoo is also very popular as they are colorful symmetrical lines, trying to simulate nature shapes. Today, many people choose to mark their bodies as a form of personal expression, they let an artist draw on their skin in order to show to other people what's going through their minds, the important people in their life or even feelings, all reflected through body art. In Ankara aren't very common the people full tattooed, explains Ufku Gurkan, the main tattooer of Daftart. 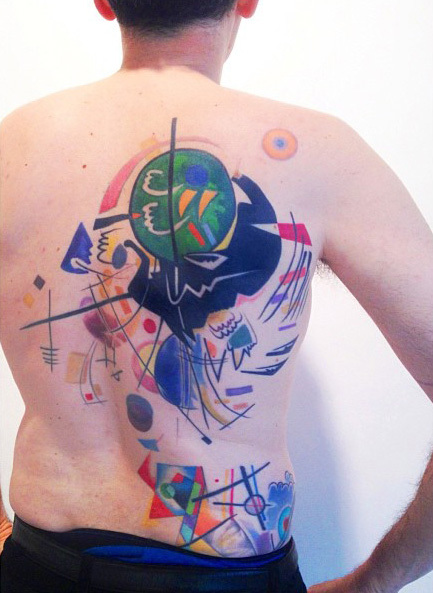 He started working in this studio 6 years ago and says: "I have been marking my body to the point of not having more space, but I love this unusual kind of art. I feel like a moving picture". Ufku loves tattooing and wants to devote his life to it, so that is why he does not mind going so marked, also describe tattoos as an "artistic vice". This 26 year old man described the tattoo as a way of life, "Not everyone can mark their skin forever, only those who consider tattooing as a deep meaning art. I think the key is to create through your body a personal canvas where your feelings and deep thoughts are exposed". "In Ankara is very difficult to go unnoticed with so many tattoos, which is why sometimes I feel weird walking down the street because everyone looks surprised. However, I think that it's an educational issue. If you get the Turkish eye used to this kind of art, at the end nobody will turn to look at me". "I also sell all kind of uncommon clothes, jewels and shoes just for people who do not want tattoos, at least they can express themselves through unique clothings". "When I sit in the chair, smell the paint, hear the sound of the needle and feel the skin of the client beating like a heart, I feel that I belong to this study, I belong to Daftart". "Helping people to express themselves freely through the body makes me happy". 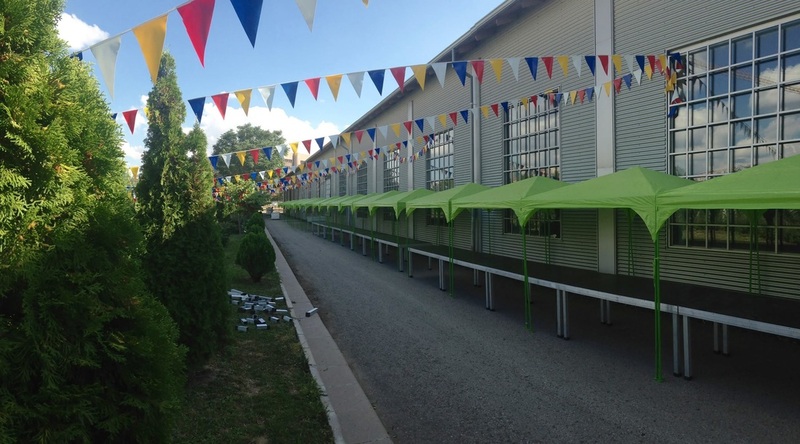 "Ankara's biggest market on its kind, Design Market Autumn edition took place on 3rd and 4th of October at CerModern. From textile to fashion, from accessories to household items, from office items to plastic arts, from kids products to books, numberless design products were available on Design Market displays among ateliers, concerts and performance shows"
It is a truly unique event as the handicrafts, the good vibes, the extravagant and unique people, the good music and food make this place a magical spot full of art and personality. My experience there was really gratifying because I could contemplate and also interact with a mix of urban styles, not only among the visitors but in the artistic products that were exhibited and sold. It is a seasonal market but do not exactly know when will the next one take place, but you can join its facebook page (link beyond) and check out the latest news to keep in touch with this event. I will do it! "When I dress I do it for myself, to feel that I stand out of the crowd. Originality is the most important in my daily style, I want to feel that nobody can copy what I am wearing. I seek to express I am unique"
Alba tries to avoid big corporations like Inditex, in order to be herself the one who marks her own trend. She says in Madrid everybody dresses the same, because shops like Zara, Mango or Pull and Bear are the ones holding the larger percentage of sales. So the most significant thing to prevent forming part of that stablished trending army, is to look for small boutiques, at affordable prices and with a small number of articles at size. New survivor in Ankara, that is who I am now. Andrea is my name and I am 20 years old. I tend to say that I don’t want to grow up anymore, in fact, at twenties is time to figure out who I am supposed to be. And that is what scares me. One thing, however, remains clear: ART IS THE MOST INTENSE WAY OF INDIVIDUALISM. My aim here is to show you how street fashion offers beauty and personality to an ugly world. 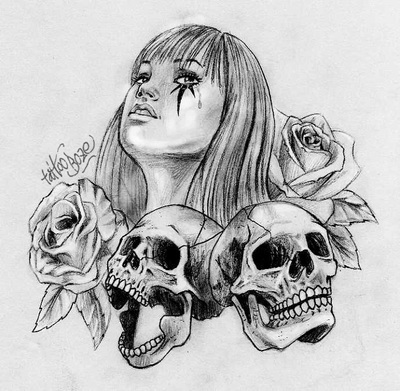 People do not realize that each item of clothing, tattoo or piercing is the result of personal and artistic expression. In addition, creative photography has always been one of my interests and I would love this becoming my way of life. All terrain communicator and creative in progress. Interested in any kind of personal expression like fashion in this case.